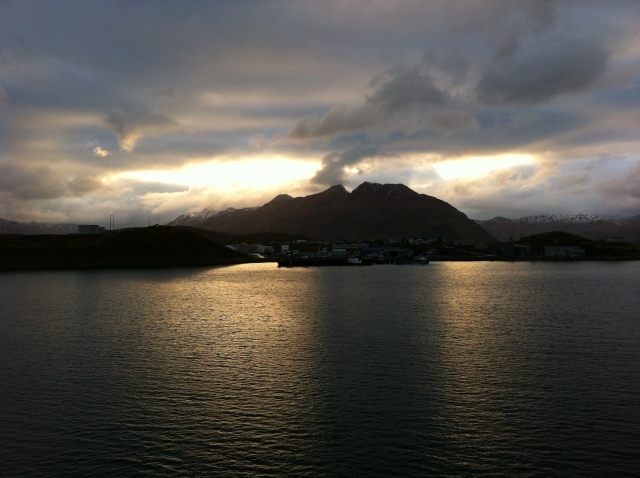 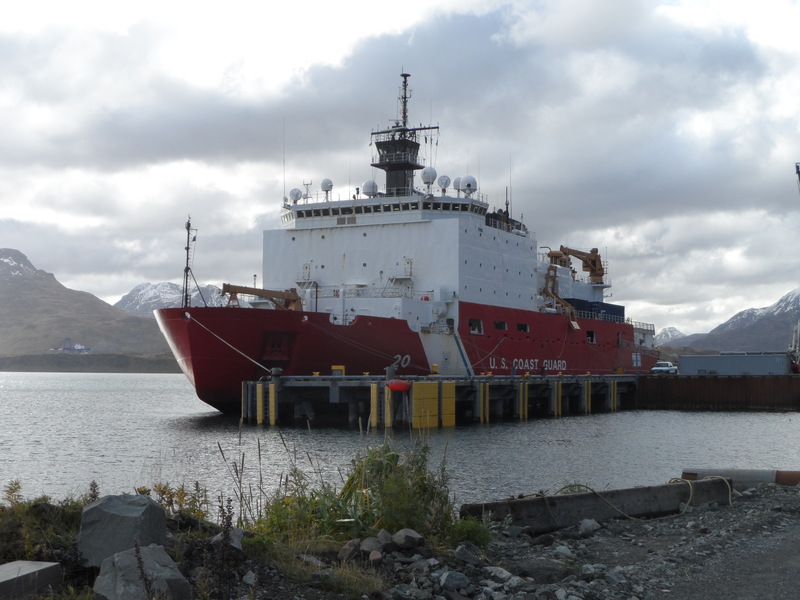 US Coastguard Cutter Healy in Dutch Harbor, before the October 2012 cruise in the Beaufort Sea. 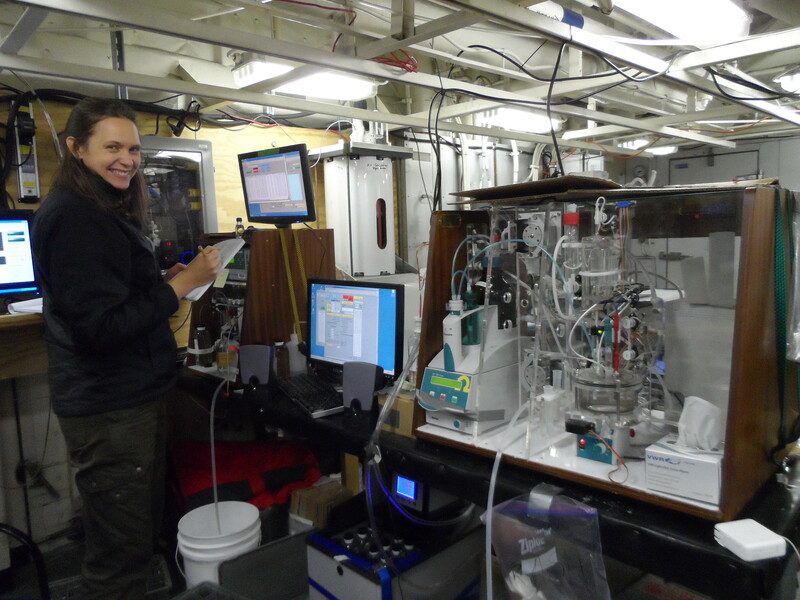 Analyzing dissolved inorganic carbon and alkalinity during night shifts aboard the USCGC Healy. 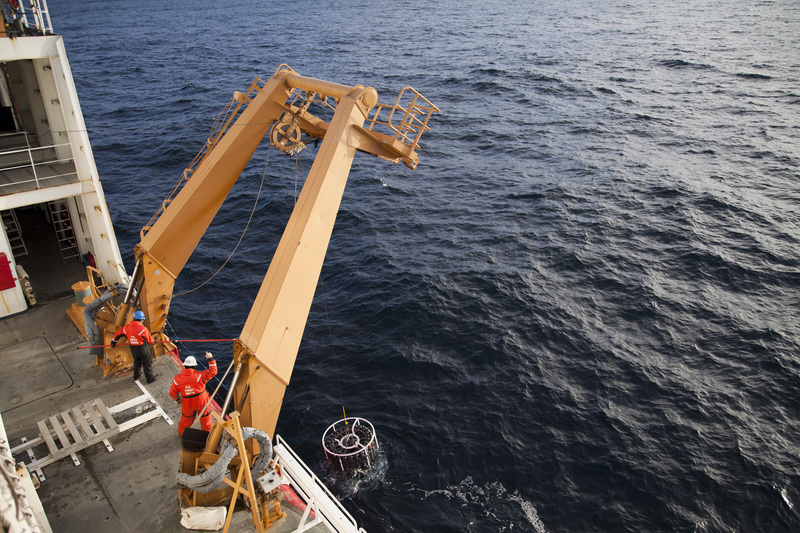 CTD operations on the USCGC Healy.